The tM Series tiny compact modules communicate over Modbus RTU and DCON protocols and provide Analog and Digital I/O functions like isolated digital input, relay and open-collector output. 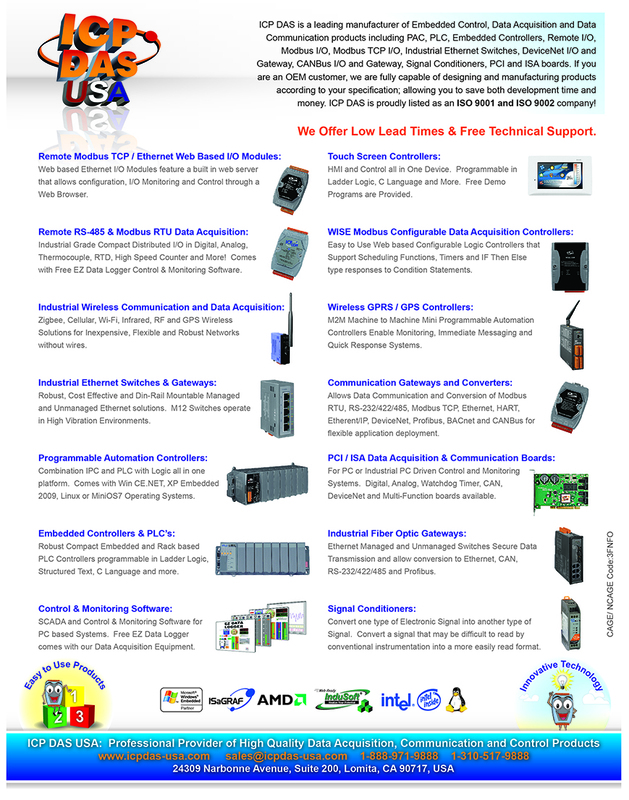 They easily integrate with HMI, SCADA, PLC’s and other systems. They are equipped with two removable terminal block connectors for easy wiring.